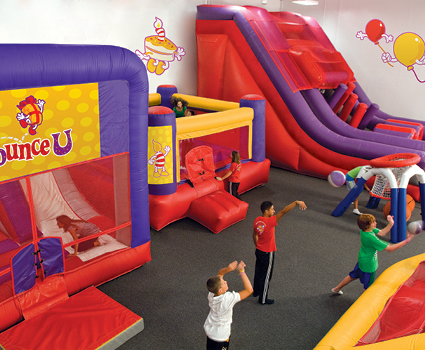 BounceU Huntington Beach is part of the world's largest franchised network of indoor inflatable party and family recreation centers. We love to see families and friends just being themselves in a private-party environment, going a little wild, and sharing memories that will last a lifetime. We understand you're too busy to worry about planning and that you want your kids to feel like the center of attention. We know you'd like your inflatable parties to be unique, exhilarating, and stress-free. 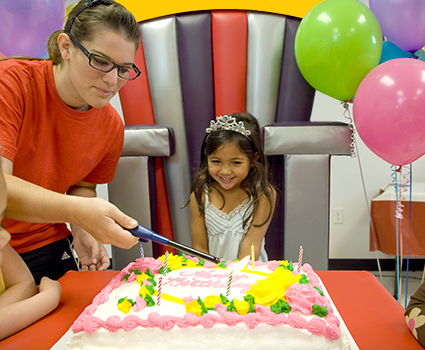 That's why we were named by Parent's Magazine as one of the Top 10 Birthday Party Destinations in the USA.